Ouch! Da Vinci does a sweet belly flop. I am obsessed with Mary Tyler Moore. So, I finally saw a film. In fact, I saw two films... in one day. Go me. 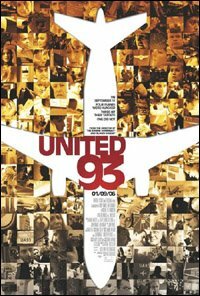 United 93 was good. I understand all the heavy praise. It's basically a faux-documentary (think the dramatic flip-side of a Christopher Guest film), but it oozes emotional truth in a way most documentaries (that I've seen, anyway) can't touch. There's really not much to say about it. They lay out the events; you watch. Pretty simple. But it's so skillfully done and so emotionally effecting that I was calling it "simple" seems insulting. But simplicity in art is very difficult. It is art's highest aim. I really had no personal connection to 9/11 and I'm embarrassed to say that I barely remember that day, having been highly self-involved at that point in my life (like I'm not now... guffaw). So this film laid it out for me in a way I'd never had it laid out before. I actually remember thinking mid-way into the film, just as the actual highjacking was about to get underway, "oh god, I'm actually gonna see what happened on the plane... people are gonna get stabbed... the scene will become utter barbaric chaos"... I was not prepared for that... for some reason it hadn't occured to me that I'd have to see those things played out before my eyes. In truth, seeing footage of the planes hitting the towers was nothing compared to seeing those people in the planes, panicked, at knifepoint, not knowing what would happen, not knowing whether they'd live or die. It was pretty terrifying. That said, I agree with some (i.e. Nathaniel Rogers) that the film was just sort of a blank slate on which to hang our own baggage... I don't know if I'd call it "great cinema"... but it WAS a very skillfully made re-enactment of a crucial event in our nation's history, one on which we should all have some perspective. It also seemed remarkably free of judgment, even of the hijackers... all I was thinking at the end was "what a tragedy". United 93 is a powerful and moving piece of work. X-Men: The Last Stand was, sadly, not as good. I understand the rather ho-hum reaction it's been getting from critics in early reviews. Bryan Singer's absense is made quite obvious even from the first frames. The requisite thrills and chills are there, but they all seem more forced, and more clumsily stitched together. Everything seems a bit more journeyman-like, a bit more rushed, a bit more shallow, a bit more... well... hackish. I am quite mad at Bryan Singer for leaving. That said, the film was not a disaster. It was actually slightly (SLIGHTLY) better than I expected... but then, my expectations were low. You may notice that I'm waffling here. Well, yes, I am. I'm not really sure how I feel about it. The film, I mean... and also, about my relationship to the X-Men universe. I loved those comics in my childhood/adolescence. They were literally MY LIFE for a good few years. But I look back at the comics now and think "eh... they're just comics... I wouldn't be into them now." But regardless, they were special. And I think they deserved better treatment than they got here. That said, I understand that not everything could get into this movie, and that they had a lot of people to please, and very little screentime in which to do it. To truly do justice to the X-universe, a whole live-action TV series would have to be made, and that just wouldn't be financially feasible... and they certainly wouldn't get better actors for a TV show than they got here. Speaking of the actors, the acting continues to be uneven (as the casting has been, too, but that's old news). MVP this time out is, again, Hugh Jackman, who continues to be a God. Not only does he have truly electric and magnetic screen presence (or maybe electromagnetic screen presence? ), but also, even the lamest of dialogue somehow works when it comes out of his mouth. I don't know how he does it... the man is just an acting God... I only wish he'd do more films that were worthy of him. Least valuable player in X3 is undoubtedly Anna Paquin (sad, I know), who does a pretty terrible southern accent (sounding like she's trying and failing to imitate her old costar Holly Hunter... who'd make a much better Rogue, were she 20 years younger... see post below), and other than that, basically just sits around adding nothing to the film. Halle Berry was actually pretty decent this time on her own terms (nevermind that those terms entail a total misinterpretation of Storm's character... but whatever... I am over it... it's not her fault that she's not... um... again, see post below); she is at least consistent in her portrayal here, and doesn't do any bad accents or anything else that's too embarrassing. Famke Jenssen is not half-bad as Phoenix, although my ideal Phoenix would of course be... well, you know, see post below. Ben Foster was decent, albeit underdeveloped, as Angel (though I personally don't think he's that cute). Kelsey Grammar was a welcome addition as Beast; perfect casting, if you ask me. And Stewart and McKellen continue to provide gravitas as Xavier and his nemesis, Magneto. The script, unfortunately, doesn't do the actors any favors. The dialogue is clunkier than usual in this outing, providing inappropriate laughs throughout. The story, also, leaves much to be desired, though the premise did sound quite promising. I'm really being harsh, though... the film has a lot to recommend it. There were a few pretty inspired moments that actually used the comic lore to good effect, but I won't spoil what they are, since they come as quite a surprise, given the general mediocrity surrounding them. So, yes... I was disappointed. But the film is definitely worth seeing. Just don't expect your socks to be knocked off. At best, they might slide down to your heel... or something. Basically, the film was decent when it could've been great. 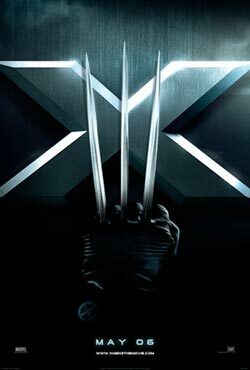 The X-Men had a lot to offer the world of cinema and this time, they were treated rather shoddily. 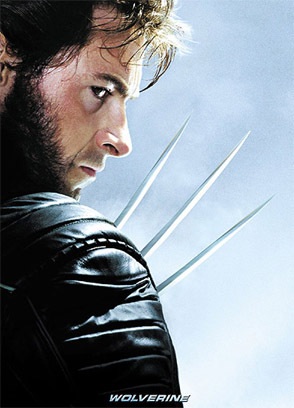 May the Wolverine spinoff (i.e. ALL Jackman ALL the time) be more fun. And hey, how could it not. It's JACKMAN. Jackman the acting God... but sadly, he was only one of the ensemble here. UPDATE: Everything but Jackman has soured a great deal in the memory. Nothing about this film was special... but go for the cheap thrills and chills. Verdict: "Jackman is the only thing worth seeing." Well, I will plead guilty to a possible bias toward The Jackman and his infinite hotness... but I also think that anything going wrong with his character this time was due to the writing/direction, and not the actor. Hugh's charisma was on full-blast, and his presence and line readings he really salvaged (IMO) what should've been some pretty terrible scenes. Being able to watch him just made everything so much better.